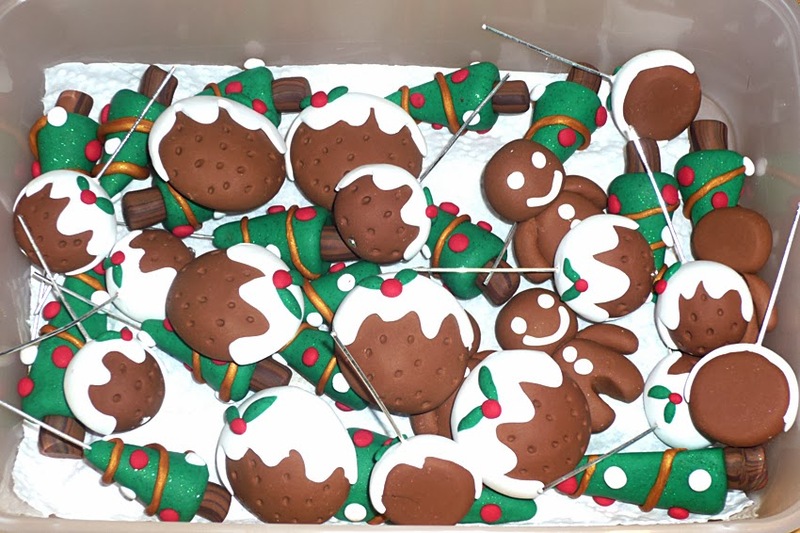 So, Millie did very well at the school Xmas Craft Fair with her Fimo earrings/badges and managed another sellout! 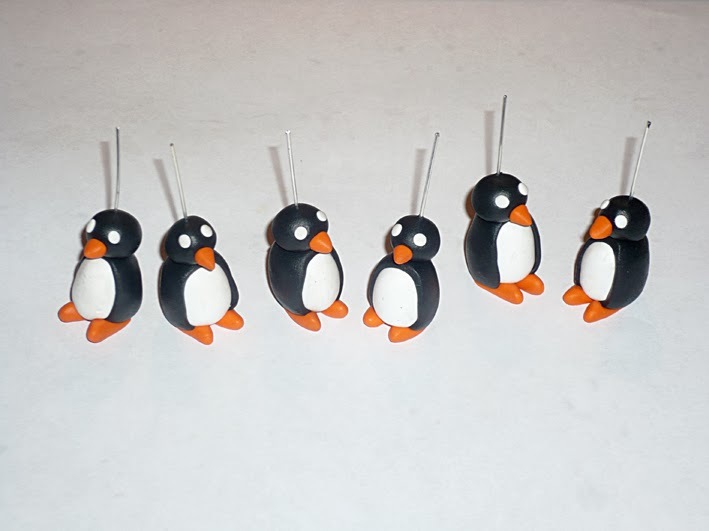 This time we were quite festive with our makes and did some cute polar bears and penguins as well as the old standards - xmas puddings and trees etc and raised nearly £150 in sales! Just when I thought it was safe to put the Fimo back in the cupboard, little Sadie said she wanted to make some bear magnets for all her friends at school for xmas presents! Eeek! I managed to persuade her that she should really only give to her very best friends and so got away with making only four more - phew! Honestly I'm seeing Fimo in my sleep! Still that's it all done now and we can have a wee break. There's some gingerbread men hiding in there somewhere! Four little friends for four of Sadie's little friends! 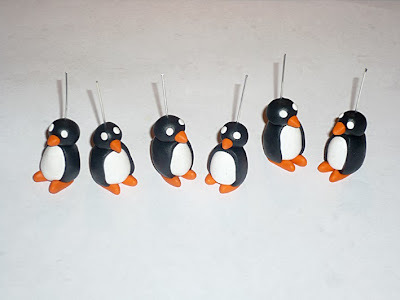 I kept thinking of Feathers McGraw while I was making these! 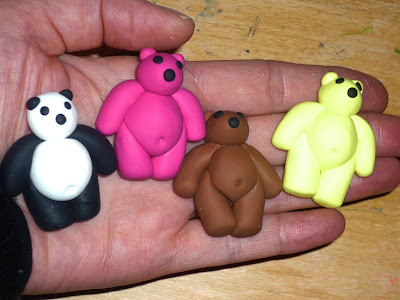 These little bears were made with transparent Fimo which makes them look like they're made of icing! 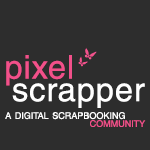 Now that they are all gone I can't wait to get my table cleaned up and get back to some proper scrapbooking. 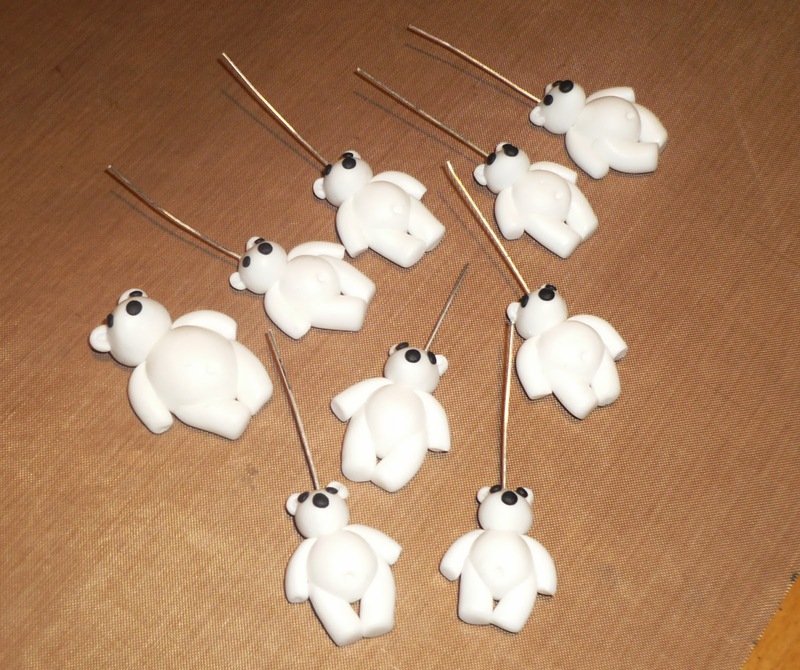 What have you all been making for Xmas? That sounds beautiful Elaine must get a look at that. I admire anyone who has the patience to sew and I'm hyperventilating just thinking about it! Merry Christmas E!